Enter a world of meerkat madness with this awesome animal activity book, packed with puzzles, quizzes, games and cool things to do. 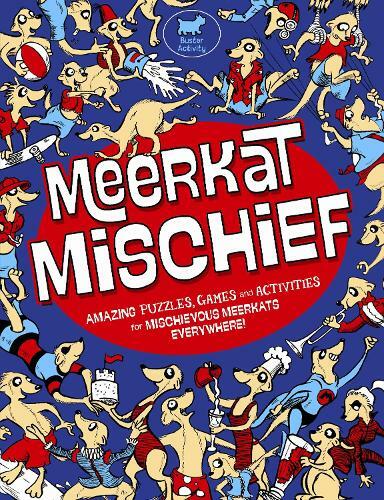 Full of cute and funny illustrations of meerkats making mischief on every page, it's guaranteed to provide hours of fun for fans of these crazy critters. Kids can make a pop-up meerkat greetings card, find their way through madcap mazes, burrow through brilliant board games, discover marvellous meerkat facts, make moreish meerkat biscuits and much more.